Traveling with Pets? 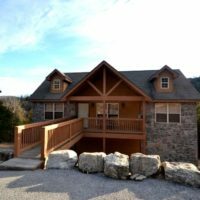 No problem, Branson has plenty of cabin rentals for you to choose from! 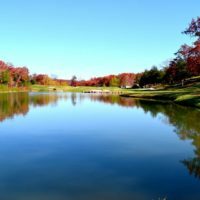 Those traveling with their pets will appreciate that many of the cabins in the Branson area allow pets and are dog-friendly. Usually, the properties will have a one-time fee that covers any damage or wear and tear on the unit that dogs may put on the furnishings and items. This pet fee is typically around $30 and is non-refundable, however, most of the cabins listed below do offer you the option of bringing multiple pets if you wish. Additionally, the units normally only welcome dogs as other animals are taken on a case-by-case basis. 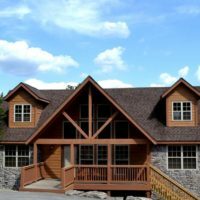 Whether you’re looking for a 1, 2, or 4 bedroom rental – all of these cabins will warmly welcome you (and your pet) on your next visit to the area. You will find that there are cabins in every size (1 bedroom, 2 bedroom, and 4 bedroom) that allow you to bring Fido along on your next getaway. If you’re traveling with a pet and staying at one of these properties, you can feel right at home knowing that these cabins cater to you! Each of the units listed above accepts pets. Simply click on the name of the unit you are interested in and you will be taken to a page that outlines everything included in your cabin, as well as beautiful photos, reviews, and nearly all of the information you would need to make your reservation. Should you have any questions about any of the particular units, please don’t hesitate to give us a call so we can book your stay in the perfect place. While you will still enjoy the same great prices and discounts as everyone else when booking your stay, there is a small, one-time (not per night or per pet) fee that will allow you to bring your dog on your next trip. Looking for pet-friendly condos or hotels? Can’t seem to find a cabin that suits your needs? Maybe try taking a peek at our pet-friendly condos or hotels in the area. Be sure to mention you’re bringing a pet when traveling. This helps you avoid the high fees many cabins charge if you accidentally bring your pet and stay in a unit where pets aren’t allowed!